A press release from the WA State Patrol says that troopers shall increase patrols in response to students and sports fans hitting the road. Thanksgiving break for Washington State University is right around the corner, as is the highly anticipated Apple Cup. The emphasis patrols will run Thursday through Nov. 25, focusing on WSU students who are traveling for the Thanksgiving break and the Apple Cup in Pullman Nov. 23. Troopers in Spokane, Whitman, Adams, Grant and Kittitas counties will be homing in on speeding-related infractions, including driving too fast for conditions, distracted/impaired driving, and violations that could cause a collision. The patrol says motorists traveling to and from the WSU campus will see an increased presence on state routes 26 and 195, as well as on Interstate 90 over Snoqualmie Pass. To check up on road and weather conditions on state highways, visit the Washington State Department of Transportation’s website at www.wsdot.wa.gov or download WSDOT’s mobile app. My opinion? In addition to enforcing DUI emphasis patrols, troopers will also focus on distracted driving violations. Washington’s new distracted driving law, which went into effect in July, sets a fee schedule for drivers who are found to be driving while distracted. The law states drivers are not allowed to use a hand-held device while driving, stopped in traffic or at a stoplight. Violators of the law could face a $136 fine. Please contact my office if you, a friend or family member are charged with crimes or infractions involving DUI, Reckless Driving or Distracted Driving, etc. I’m happy to help and consultations are free. The Washington state House approved Senate Bill 5289, which would prohibit holding an electronic device — including phones, tablets and other electronic devices — while driving, including while in traffic or waiting for a traffic light to change. Fines for a first offense would total $136 while second and subsequent offenses could cost drivers up to $235. The measure passed the Democratic-controlled chamber on a 63-35 vote. It now heads back to the Republican-controlled Senate for agreement on changes made in the House. The bill’s sponsor, Republican Sen. Ann Rivers of La Center, told the Associated Press before the vote that she agrees with the House amendments and wants to get the bill to the governor’s desk this session. Rivers said she looks forward to being able to drive down the road at night and not see drivers’ faces lit up in blue from having their focus be on their phones instead of the road. Democratic Rep. Jessyn Farrell of Seattle, who also sponsors a similar bill in the House, spoke in favor of the bill during the floor debate saying “this bill is really about safety and is about our kids who are watching every single thing that we do,” said Farrell. However, Rep. Dave Hayes of Camano Island said the bill “goes a little too far.” Nevertheless, the Republican said he was pleased to see the House cleaned up the bill’s language by making the exemptions clearer. The measure would allow “the minimal use of a finger” to activate, deactivate, or initiate a function of a personal electronic device while driving. Also, exceptions to the bill would include using an electronic device to contact emergency services, to operate an emergency vehicle, to allow transit system dispatch services to communicate time-sensitive messages and to allow any activities that are federally authorized for commercial motor vehicle drivers. Operating an amateur radio station and two-way or citizens band radio services are also exceptions in the proposal. If signed into law this year, the measure would go into effect January 2019. What Happened After Voters Legalized Recreational Marijuana? Reporter Christopher Ingraham of the Washington Post wrote an article discussing how that the availability of recreational marijuana — in Colorado and elsewhere — is having little to no effect on teens’ propensity to smoke weed. In his article, Ingraham supports his claim with the official statistics out of Colorado through 2015. It’s also what federal data shows nationwide through this year. And it’s also backed up by other federal surveys of drug use in the states where marijuana is legal. However, a study out Tuesday in the journal JAMA Pediatrics flies somewhat in the face of the new conventional marijuana wisdom. Examining marijuana use among high school students in Washington state two years before and after the vote to legalize in 2012, it finds that rates of marijuana use increased by about 3 percent among 8th- and 10th-graders over that period. The authors posit that reduced stigma about marijuana use is one factor leading to the results that they observed. The findings are something of a puzzle. The study found no change in marijuana use among 12th-graders in Washington state, which the authors said could be because the 12th-graders in the study were old enough that “they had already formed attitudes and beliefs related to marijuana use” before the legal change. The study also found no change in use among students at any grade level in Colorado. The authors write that Colorado had a robust medical marijuana industry in place well before full legalization, which may have affected youth attitudes and behaviors there before the study period. Among adolescents, the perceived harmfulness of marijuana has been declining for decades among all age groups. But at the same time, adolescent use of marijuana has been flat or falling. This has led some researchers, including Mark Kleiman of New York University, to rethink the nature of the link between what teens think about weed and whether they use it. In an email, Kleiman pointed out that in Washington state, the recreational marijuana market didn’t open until halfway through 2014, and then only in limited form. That’s halfway through the “after” period (2013 to 2015) in the JAMA Pediatrics study. Indeed, the study’s authors agree with that assessment. “Simply legalizing an activity can change people’s views about it and can change their behaviors as well,” said co-author Deborah Hasin of Columbia University in an email. Holiday Drinking In The U.S. Interesting article by Christopher Ingraham of the Washington Post discusses how data on total monthly alcohol sales in the United States carries a time-tested seasonal trend: the spikes in December of each year. Clearly, the holidays are traditionally a time for boozing it up. For example, the Department of Health and Human Services recently updated the official federal statistics on the percent of state residents ages 12 and older who drink at least once a month. Also, Ingraham’s article discusses how various direct and indirect measures of alcohol consumption, including breathalyzer data, Web searches for hangover relief and alcohol-related traffic deaths all suggest that peak American drinking happens between Thanksgiving and New Year’s. New England is home to the nation’s heaviest drinkers – New Hampshire, where about 64 percent of residents age of 12 or older drink monthly, is tops in the country. Vermont, Maine and Connecticut also come in at drinking rates above 60 percent. Hard-drinking cheeseheads in Wisconsin see to it that their home is the only Midwestern state in the top tier of American drinkers. Ingraham discusses how the next tier of heavy drinking states are all in the northern part of the country. Some researchers posit that there may be a relationship between heavy drinking and latitude. At the country level, alcohol consumption tends to increase the farther you get away from the equator. This could be a function of the potential for boredom and depression during winter months when the nights are long and the days are short. For a prime example of this, see recent stories involving alcohol and misconduct among people who live in Antarctica. Ingraham discusses other cultural factors affect some States’ attitudes about drinking. On the map above, take a look at Utah and particularly Idaho. They’re in the bottom tier of the states for drinking frequency. Utah, where only 31 percent of adults drink in a given month, comes in dead last. This is almost certainly because of the large Mormon populations in those states — 58 percent of Utahans are Mormon, as are 24 percent of people in Idaho. Mormonism generally prohibits the use of alcohol and other drugs. There’s likely a similar religious influence in places Alabama, Mississippi and the other Southern states where drinking is low. Those states have large evangelical Christian populations, many of whom are abstainers. 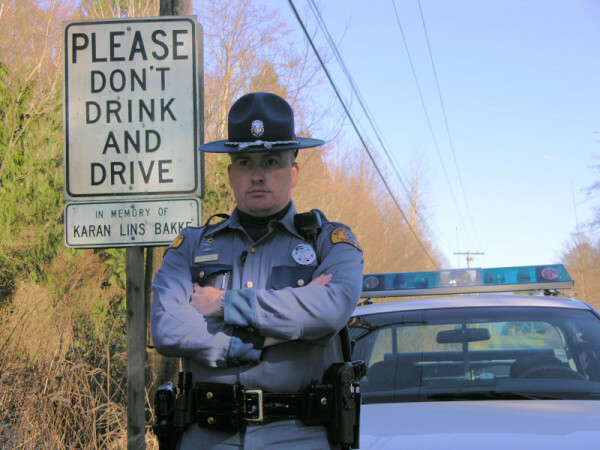 Coincidentally, the Washington State Patrol announced its increased Holiday DUI Patrol campaign of “Drive Sober Or Get Pulled Over.” Our State Troopers are extremely proactive in reaching their Target Zero goal of zero traffic fatalities by 2030. Also, our local police and sheriff’s offices are working very hard responding to incidents of domestic violence, burglary, assault and other criminal incidents associated with holiday celebrations. SEEK COMPETENT LEGAL REPRESENTATION IF YOU FACE CRIMINAL CHARGES THIS HOLIDAY SEASON. For many, the holiday season is a joyous time when family and friends get together and celebrate. Naturally, our holiday merriment could involve the libations of alcohol and/or legal (and illegal) drugs. We must enjoy the holidays safely and responsibly. Unfortunately, incidents of domestic violence, DUI, and other criminal behaviors – intentional or otherwise – can dampen our holiday festivities. It’s never desirable to face criminal charges which could negatively affect your life for years to come. However, if you, friends or family find themselves in situations involving law enforcement, jail and/or criminal charges then contact the Law Office of Alexander Ransom as soon as possible. I staunchly defends my clients’ constitutional rights to a fair trial, just proceedings and the suppression of evidence involving unlawful searches, seizures and self-incrimination. My practice involves saving people’s careers and reuniting families by seeking reductions and dismissals of criminal charges when appropriate. A recent news article by reporter E.J. Smith III of the Seattle Times reports that today’s driver’s license exams require not only a more thorough understanding of longstanding traffic laws but also an understanding of the risks associated with smartphones and the legalization of pot. E.J. Smith III reports these driving issues are timely and should be addressed. For example, he quotes a recent study by the AAA Foundation for Traffic Safety concluded that teen drivers spend nearly a quarter of their driving time distracted. Additionally, one in six drivers involved in fatal crashes in Washington in 2014 had recently used marijuana, which is the most recent data available. Finally, according to the NSC preliminary estimates, 567 people died in motor-vehicle crashes in Washington last year, a 21 percent increase over 2014. Nationally, the increase was 8 percent. My opinion? Kudos to the Department of Licensing for addressing issues of distracted driving and marijuana use. This is an excellent step in the right direction. Today’s teen driver’s need to know the risks of their driving behavior. I practice a wide range of criminal defense, everything from low-level misdemeanors to Federal charges. I’m honored to represent them through difficult times. I’ve assisted clients who are minors charged with various forms of DUI (drugs as well as alcohol). Many didn’t know the slightest amount of alcohol or drugs in their system can lead to DUI charges. Others didn’t know the repercussions of their actions. I’m a firm believer that education is the key to prevention. That said, if you’re interested in more information on these issues then please review my Drug DUI practice area and my Legal Guide titled Drug DUI’s in Washington: The Issues & Recent Case Law. A police officer uses a prototype of a Textalyzer to check for texting activity on a phone. A proposed law in New York would allow police to use the technology in much the same way they use a Breathalyzer. A very interesting and well-written news article by reporter Matt Richtel of the New York Times discussed how lawmakers from New York want to treat distracted driving like drunken driving. 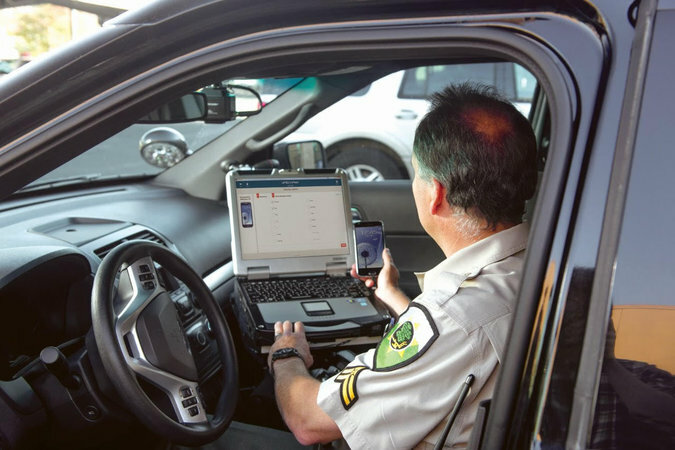 The newest idea is to give police officers a new device that is the digital equivalent of the Breathalyzer — a roadside test called the Textalyzer. The idea certainly carries momentum. Richtel wrote that over the last seven years, most states have banned texting by drivers, and public service campaigns have tried many tactics — “It can wait,” among them — to persuade people to ignore their phones when driving their cars. In response, legislators and public health experts want to treat distracted driving like drunken driving. The most provocative idea is to give police officers a new device that is the digital equivalent of the Breathalyzer — a roadside test called the Textalyzer. Richtel explained it would work like this: an officer arriving at the scene of a crash could ask for the phones of any drivers involved and use the Textalyzer to tap into the operating system to check for recent activity. The technology could determine whether a driver had used the phone to text, email or do anything else that is forbidden under New York’s hands-free driving laws, which prohibit drivers from holding phones to their ear. Failure to hand over a phone could lead to the suspension of a driver’s license, similar to the consequences for refusing a Breathalyzer. Richtel described how the proposed legislation faces hurdles to becoming a law, including privacy concerns. But Félix W. Ortiz, a Democratic assemblyman who was a sponsor of the bipartisan Textalyzer bill, said it would not give the police access to the contents of any emails or texts. It would simply give them a way to catch multitasking drivers, he said. If the legislation passed in New York, it could be adopted by other states in the same way that the hands-free rules did after New York adopted them. Car crashes are the leading cause of death for American teenagers, but a new study suggests a far bigger problem. The National Highway Traffic Safety Administration (NHTSA), which released a 2012 study using statistics based on police reports, previously estimated that teen distracted driving constituted 14 percent of all collisions. That study showed that teen drivers were distracted almost a quarter of the time they were behind the wheel. Electronic devices, such as texting, emails, and downloading music, were among the biggest distractions, accounting for 7% of the distractions identified on the study video. However, a study released in March by the AAA Foundation for Traffic Safety which used live footage instead of police reports. Their latest study on distracted driving found a 400 percent increase and concluded that distraction was a factor in nearly 6 out of 10 moderate-to-severe teen crashes. AAA analyzed the six seconds leading up to a crash in nearly 1,700 videos of teen drivers taken from in-vehicle cameras they knew were in their cars. My opinion? Eventually, “Distracted Driving” will be criminalized. It took decades for statistics on fatal drunken driving crashes to translate into tougher DWI laws. I’m sure that advocates for strict laws against cellphone use by drivers encounter the same detached attitude today.